Sounds awesome, right? 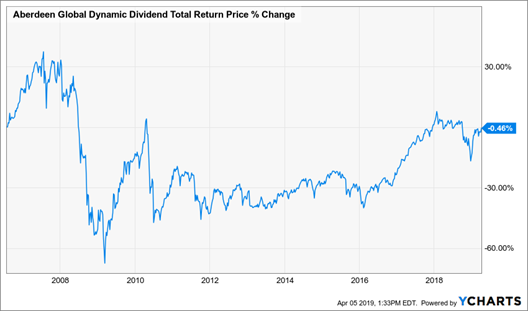 So when are we adding the Alpine Global Dynamic Dividend Fund (AGD) to our portfolio? Well, never. The article above was written in 2006, which means the fund has a 13-year track record. An awful track record. 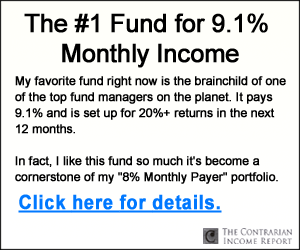 Its initial investors are still down a half-percent–and that’s before we consider inflation! The fund still yields 8% today. If history is any guide, investors who own AGD will lose their dividends to price declines in the fund. Why is AGD such a dog? Well, at its core, this strategy is a bit too “basic” to actually make money. Let’s say you and I want to do better than AGD on our own (a pretty low bar). We would pick an individual dividend stock to buy before its dividend is committed (its “ex” date). Then we’d dump it the next day. Money for nothing and our yield for free. We’re just trying to capture the dividend without holding the stock for very long. But can we really buy a stock the day before its dividend date and pull this off? Unfortunately for us other investors have thought of this. They already own shares and they are selling at an inflated price. In fact, the stock is probably “overpriced” by the amount of the dividend it’s about to pay! So we move our timeframe back. Let’s buy the stock a week or two ahead of its dividend date. Well, again, we’re not the only investors who have this idea. They’ve been bidding the price up slowly for weeks and even months. Their net effect is the “market” pricing in the future dividend at any given moment. All right, let’s stop being so basic ourselves. “True believers” in the strategy will argue that the real way to employ it is with options. We should buy and sell puts and calls to magnify the price ticks that occur before and after the dividend date. But again, we’re back to our original problem. If there is no major inefficiency in a dividend stock’s price at any given moment, how exactly are we supposed to exploit it? Speaking of options, they are a better way to practice the dividend payout capture we’re seeking. 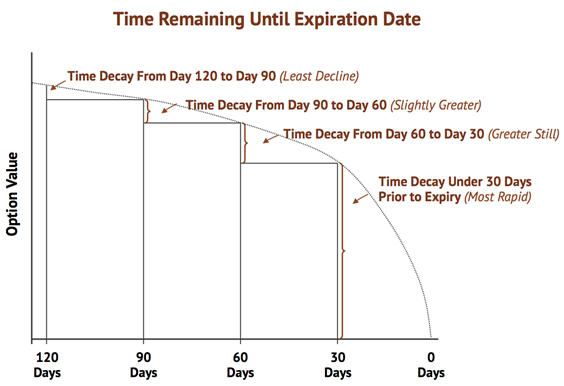 With each day that passes, call and put options (the rights to buy or sell a stock at a certain price) decay in value. That’s bad for buyers, but great for sellers like us. With each passing day, the sellers grow richer. They don’t have to worry about the clock. In fact, it’s their friend. Selling (or writing) call options can be a great way to collect more income from your portfolio. To capture more dividends, in other words! As always, there’s no free lunch in the markets. Our tradeoff is that we’ll give up some upside in exchange for the call premium. In a pricey market, we’re probably happy to make this trade. Let’s look at an example using one of our favorite dividend stocks. Omega Healthcare Investors (OHI) yields a generous 7.1% today. Its rent is well covered by the rents of its tenants (who operate skilled nursing facilities), so we can feel good about that nice yield. But here’s how we can capture more. If OHI trades sideways between now and May 17, we’ve found a way to collect $1.11 per share in cash (dividend plus call option premium) instead of “just” $0.66 (dividend alone). If the stock rallies and closes above $38 in mid-May, we’ll keep the $1.11 plus an additional $0.86 in price upside (the difference between our call’s strike price and OHI’s current price). The “instant payout” of $0.45 annualizes to about 12% because we can repeat this technique about ten times per year. Which boosts OHI’s annual yield from 7.1% to 19.1%. Plus we can capture some additional upside, too. Would we ever regret selling covered calls instead of simply buying and holding? If OHI rocketed 50% higher next month, we would have already agreed to sell at the start of that moonshot. But we don’t own big dividend payers in hopes of fast gains. A steady 19.1% yield with upside on a safe stock would be just fine! If this strategy sounds intriguing but complex, consider closed-end funds (CEFs) that focus on covered call writing. Unlike that dividend capture dog we discussed earlier, there are some great CEFs that pay big yields (7%, 8%, 9% and more) and regularly enjoy price increases to boot. Here are four of my favorites today. 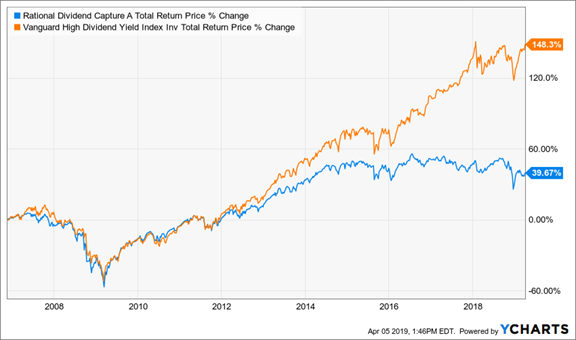 High paying closed-end funds are a cornerstone of my 8% “no withdrawal” retirement strategy, which lets retirees rely entirely on dividend income and leave their principal 100% intact. Well, it’s actually even better than that. Retirees who follow this strategy enjoy principal that is more than 100% intact thanks to price gain potential. Some of these funds contain up to 15 cents per dollar per share in “free money” that is available today thanks to their discounts to NAV. When these funds swing back into favor and their bargain window closes, investors will enjoy price gains in addition to their generous yields. Plus investors who buy heavily discounted funds today will lock in more “dividends for their dollar” for life. 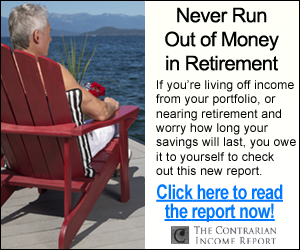 This is the ultimate dividends-only retirement strategy. Plus I talk to management, because online research isn’t enough. I also track insider buying to make sure the execs have real skin in the game. Today, I like three “blue chip” closed-end funds as best income buys. And wait ‘til you see their yields! These “slam dunk” income plays pay all the way up to 9.1% dividends. Plus, again, they trade at 10% to 15% discounts to their net asset value today. Which means they’re perfect for your retirement portfolio because your downside risk is minimal. Even if the market takes a tumble, these top-notch funds will simply trade flat… and we’ll still collect those fat dividends!